FC Barcelona said goodbye to Enrique Castro 'Quini' before the start of the Barça v Atlético game. The striker, who was a blaugrana from 1980 t0 1984, passed away from a heart attack aged 68 in Gijón on 27 February. The Camp Nou paid tribute to one of the most important strikers in Barça’s history on an emotional day. 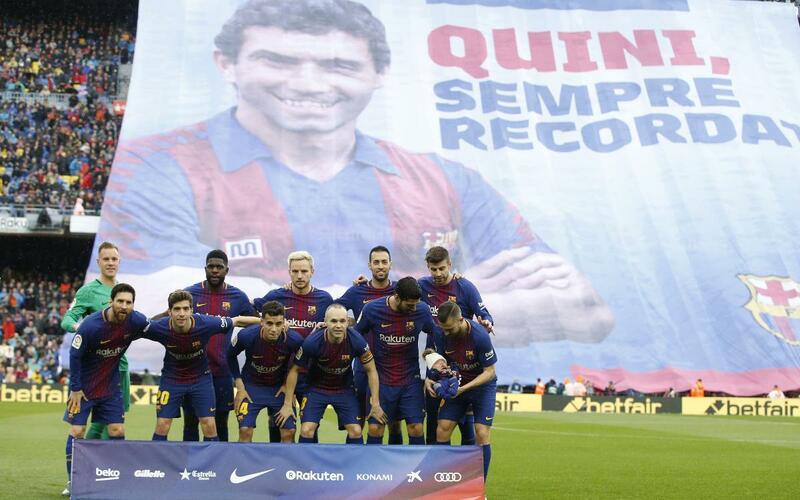 The fans displayed a banner with the message “Quini, sempre recordat” (“Quini, always remembered”). Also, the scoreboard at the Camp Nou, played a video showing the Asturian striker’s best moments as a blaugrana. The ex-player’s family witnessed the tribute as they were in the Presidential Box. Quini played 181 games for FC Barcelona and won five trophies. He was also the top scorer in the league in both the 1980/81 and 1981/82 seasons, and he scored Barça’s 3,000th league goal in a match against Castellón on 24 January 1982.